Received a Liebster Award from Elana Khong. I am not sure what is this all about because I don't really pay attention on this. Anyway, thank you to Elana for this! I am glad to know you! Liebster means Dearest in German. 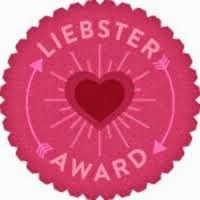 This Liebster Award is sort of chain game among blogger who nominated each other to help increase each blog traffic. Once you get nominated you need to nominate at least 8 favourite bloggers. There are unofficial rules when receiving this award....IMA accepted this blindly..
Singing Henry song, I'm Trap! I'm Trap! 1. Thank you who has nominated you and post link to their blog. 6. Create new sets of Questions for your nominees to answer. At least 10 questions. 1. Who and what inspire you to start blogging? - I inspire myself. WTH! I just need space to rant. I find it less fun to write in traditional diary so I opt for online diary aka blog. 2. What and which event you have sweet memories and enjoyed the max? - I enjoyed in most event. 3. What and which event that you don't enjoyed and feels like its a waste of time? - anything related with sales pitch event. Hate that very much! 4. You think you look best in which color? 5. Would you see yourself going vegetarian someday/in future? - YES. I am working towards vegetarian. 6. What's the one thing you hate about my blog and how may I improved it? - The layout. Your header photo over expand. 7. What's the one thing you like about my blog? 8. Which sport do you like? 9. What do you think of Facebook vs Instagram? - not really into it. So I don't bother much! 10. Are you a coffee drinker? If you are, which cafe you think serve the best coffee? - Coffee one cup every morning. I remember drank the best black coffee in Hoh Chin Minh! 10 RANDOM FACTS ABOUT ME? 2. Dreaming about being in love with Chaebol for the whole life.In real fact , I am not! 3. I wanna be vegetarian by age 45 years old. 5. I hate driving and I hate others to drive me too. 6. I am rigid and not flexible! 8. Most of my daily meal are Korean influence. 9. I am not a caring person. I care only about myself. People say this is selfish attitude. I still have heart despite not being so caring. Its just sometimes I forgot to care about others since I live alone for too long now. WTH! 10. psssttttt! don't think I am a pervert but Jung II Woo my pretty favourite boy always appear in my sweet dreams. Too bad since IMA have bad insomnia so it is very hard to have such sweet dream. WTH! I told you...not to laugh!!!! Now...my turn to nominate blogs I am following. I am not sure whether they will accept my challenge. I wanna get to know them better and I wanna be friend with them. Finger cross for them to accept my friendship !!!!! PSSSTTTT!!!! you can write in Chinese. Trust me google translate helps me a lot!!!! PLEASE ANSWER MY ELEVEN QUESTIONS IN YOUR BLOG POST FOR THIS LIEBSTER AWARD. 2 If you could have one wish granted, what would you wish for? Why? 3. When is the happiest moment in your life? 4. List 3 things you wanna achieve before you leave this world? 6. What is your favourite color? 7. 3 things you must bring with you when you out from home? 9. List 3 things your like when you visit my blog? 10. 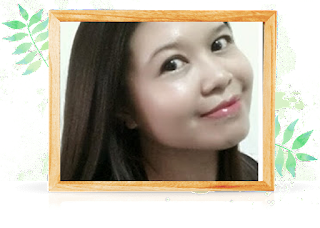 What is your perception about my personality when you read my blog? owh my bad, im sorry just log in and visit my blog....shhhhyuuhhh dust everywhere. inshallah will do just for u even though already end of the year.